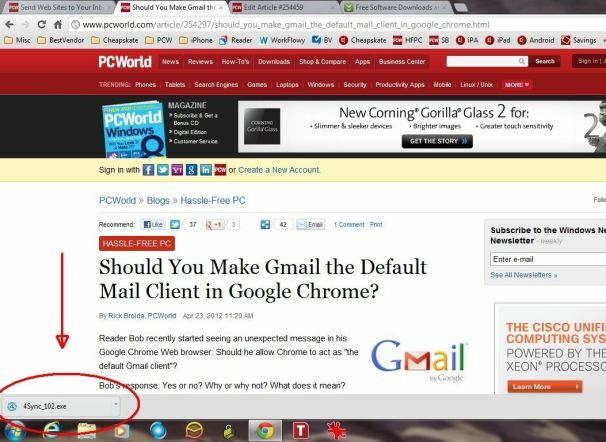 The other day I explained how (and why) to make Gmail the default e-mail client in Google Chrome. Then it occurred to me that lots of users are probably trying Google's browser for the first time -- and maybe having some trouble learning the basics. With that in mind, I thought I'd cover a few Chrome essentials -- starting with downloads. When it comes to download files, not all browsers are created equal. In Internet Explorer, for example, clicking a download link produces a pop-up bar along the bottom of the screen, asking if you want to run or save the file. In Firefox, the browser I used prior to Chrome, you get a pop-up requester front and center, followed by a big ol' status window. For anyone accustomed to this, Chrome can be a head-scratcher. Indeed, it's easy to overlook the arrival and status of a file download -- especially if you're accustomed to looking near the top of the screen or seeing a pop-up window. Want to view all your downloads? Press Ctrl-J to open Chrome's download manager in a new tab. You can also click the little wrench icon in the top-right corner of the screen, then click Downloads. This may seem like a simple, obvious thing, but it took me a while to get accustomed to Chrome's tucked-away-in-a-corner download indicator. Hopefully this will help you get to know Google's browser a little bit better.